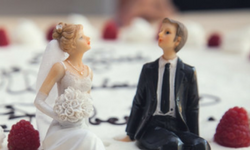 Smart brides and grooms can save huge amounts of money on their wedding planning with a few simple DIY ideas. Because Do It Yourself weddings are becoming the latest trend, Albuquerque Floral now offers DIY classes. Learn how to make beautiful flower arrangements from the professional and save money. In addition to professional, DIY wedding flower classes you can save even more money when you shop the Albuquerque Wholesale Flower Market. Because these wholesale flowers are backed by a local, Albuquerque Florist you can get great deals year round. You can register now for Albuquerque Floral DIY wedding classes, scheduled to being June 2018. All you have to do is click here to book a FREE wedding consultation and ask about our DIY Wedding Flower Class. Everyone agrees, this is the best way to shop affordable wedding flowers in Albuquerque. Most importantly, remember to have fun. Because Albuquerque Floral is the number one wedding planner in Albuquerque we always go the extra mile. If you are searching for a local, Albuquerque Florist you can trust with your wedding flowers, call us today. You will be happy you chose to buy flowers from a Five Star rated wedding company. 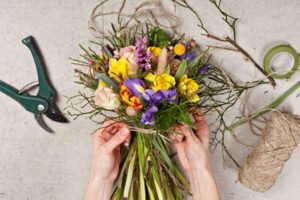 Finally, an Albuquerque Wedding Florist who teaches DIY flower classes near me! Don’t miss out on your opportunity to SAVE BIG on your wedding day with DIY flower classes from Albuquerque. Conclude you search for the best DIY wedding flower classes near Albuquerque and Santa Fe, New Mexico by clicking here. Because you want the best wedding, choose the best florist.